In 2016 39.3% of births in Oldham occurred in families where either one or both parents are foreign born. 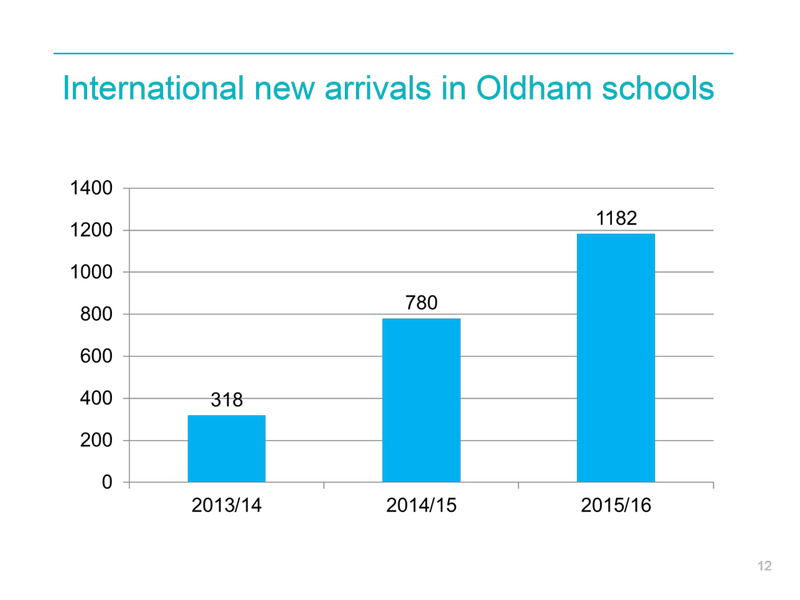 When you add the increase in foreign born school aged children arriving in Oldham to the number of births to foreign born parents you find that 55.2% of Oldham’s increase in children 2016 was due to migration. In reality the percentage is even higher as there are no statistics for migrant children under school age arriving in the borough.